Originally published in Journal of Creation 13, no 1 (April 1999): 100-104. The cratering patterns observed on the moon were formed during two distinct impacting episodes. The abundant small craters on the lunar highland surfaces were caused by meteor impacts around the time of the Fall or perhaps during Creation Week itself. The large impact basins and resultant maria were formed at the time of the Flood by a narrow, intense, swarm of meteoroids travelling on parallel paths. The meteoroids were likely comets or fragments of a large comet. Those which missed the earth or moon left the solar system on a very long-period orbit. This model explains the uniform distribution of craters on the highlands of the moon, the non-uniform distribution of lunar maria, and the near absence of impact features on the lunar maria. A specific pattern of cometary impacts on the earth and moon is predicted by this model providing direction for future research. Apart from the earth and moon, significant impacts would not have occurred on other bodies in the solar system at the time of the Flood. Therefore, evidence of a second episode of large, non-uniform impacts on other bodies in the solar system is not expected to be found. Planetary satellites are usually cratered as well. The surface of the earth’s moon is divided between heavily cratered regions (the highlands) and smoother areas (the maria—singular mare = ‘sea’). Faulkner discussed the differences between the lunar maria and highlands and how lunar ghost craters are evidence of a recent lunar origin.3 The Voyager probes photographed the surfaces of many of the larger satellites of the Jovian planets. Nearly all of them have various degrees of cratering. The only crater-free moon is Io, the innermost of the four large satellites of Jupiter. Several asteroids have now been imaged, and they all have heavily cratered surfaces. Deimos and Phobos, the two small and heavily cratered satellites of Mars, resemble asteroids in appearance, and are considered to be captured asteroids. There is abundant evidence that the vast majority of craters in the solar system are the result of impacts. Several authors have previously suggested that these craters offer important clues in developing a biblically-based history of the solar system. Impact craters could have originated during several possible episodes at different epochs. One possibility is that craters could be primordial. That is, they could have been caused by events during Creation Week. On Day Four, the planets and satellites could have been formed from material that was created in the creative acts of Genesis 1:1 . Assembly of components would naturally involve collisions that could have left the craters. Some may view craters as scars, and as such craters may be considered inconsistent with a perfect initial creation that was declared to be ‘very good’ ( Gen. 1:31 ). 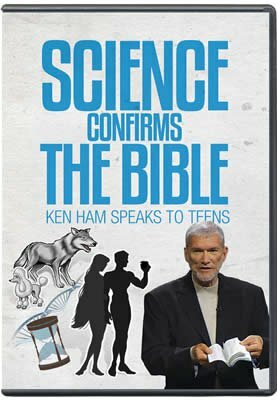 Therefore some creationists place the major cratering episodes with one or more later catastrophes. Two obvious choices for these catastrophes would be the Fall and the Flood. Other possibilities include the lesser catastrophes that some see at various biblical events such as the division of the earth at the time of Peleg ( Gen. 10:25 ),4 the ten Egyptian plagues ( Ex. 7–11 ), the crossing of the Red Sea ( Ex. 14 ), Joshua’s long day ( Josh. 10 ),5 and so forth. One problem for these ‘lesser’ events is that they were much more limited in their scope than the global results of the Fall and the Flood. Another possibility is that major cratering episodes may have occurred more than once. It is proposed here that there were two major cratering episodes. The first was connected with Creation Week, or more likely the Fall shortly thereafter. The second episode occurred at the time of the Flood, perhaps even related to the cause of the events in Gen. 7:11 . The major clues in suggesting this model come from the moon and the earth. A source of meteoroids that caused the second wave of impacts will be discussed. Further development of this idea should include considerations of the implied cratering rates throughout the solar system. As previously mentioned, the earth’s surface is nearly crater-free. The largest well-preserved crater on earth is the Arizona Meteor Crater. DeYoung has discussed the age of the Arizona Meteor crater from a biblical creationist perspective.6 As large and fresh as this crater is, it is dwarfed by most of the craters elsewhere in the solar system. Scores of much larger craters world-wide have been proposed from subtle underground features. Called astroblemes, these features are usually interpreted as heavily eroded, glaciated, and filled-in craters. Assuming the correct identification of astroblemes as fossil craters, Spencer reviewed them in the context of a Flood model.2 He reasoned that since astroblemes are distributed across the geologic column, and since Flood models assume that most of the geologic column was laid down during the year-long Flood, there must have been a significant number of terrestrial impacts during the Flood. He further concluded that the impacting bodies not only accompanied the Flood but also likely played a role in precipitating it. Snelling has concluded that ‘most, if not all, … Precambrian strata, particularly from the Late Archaean and Early Proterozoic onwards, [were] deposited during the Flood.’7 Consistent with this assessment, Spencer has interpreted Precambrian astroblemes as either dating from the start of the Flood before any strata were deposited or post-Flood after erosion had removed Flood sediments. Spencer also suggested that the known number of astroblemes may considerably underestimate the number of Flood-related impacts. He suggested that the geologically less-reworked surface of the moon might provide better data on the impact rate during the Flood. The amount of cratering on a surface is usually understood as being related to the age of the surface. Geological activity and weathering will remove craters. If a surface has been geologically inactive for a long time, many more craters will be preserved than upon an active surface. The surfaces of the earth and the moon offer a stark contrast. As anyone who has ever examined the surface of the moon through a telescope knows, the moon is pock-marked by numerous craters. This is completely different from the rarity of terrestrial craters. Uniformitarians assume that the earth and moon have been exposed to the same number of impacts per unit area over time. This can only be true if the earth has removed most of its craters. Besides experiencing weather-caused erosion, uniformitarians believe that the earth’s surface has undergone plate tectonics that has periodically recycled its surface. There is evidence to support this fundamental difference between the earth and the moon. Indications of plate tectonics on the earth include continents, mountain chains, rift valleys, mid-oceanic ridges, and volcanoes. All of these features are absent on the moon. This scenario has become the paradigm through which the surfaces of planets and satellites have been interpreted. For instance, the Galilean satellites of Jupiter (its four largest moons) show a trend of an increasing number of craters with increasing distance from the planet. Innermost Io has no craters, which should mean that it has been very active geologically. This is consistent with the discovery of more than a dozen active volcanoes on Io. Europa has a few impact craters and also has surface features that suggest geological activity. It is generally thought that closeness to Jupiter has produced enough heating from tidal flexing to cause the geological activity. The outer two moons, Ganymede and Callisto, have progressively more craters, consistent with less geological activity due to less tidal flexing. Applying this approach to the moon leads to the conclusion that the dissimilar crater density between the highlands and the maria is attributable to an age difference. Early in the moon’s history the entire lunar surface was heavily cratered. Evolutionists theorise that the impacting bodies were left over planetesimals that had failed to amalgamate into planets. This episode has become known as the ‘early heavy bombardment’, and it is thought that it affected all solid surfaces in the entire solar system. Therefore all surfaces heavily cratered like the lunar highlands are thought to date from the time of the early heavy bombardment. As planetesimals were swept up, there were exponential declines in the number of planetesimals and in the rate of cratering. Any surfaces that were reworked geologically after the early heavy bombardment would have far fewer craters than well-preserved older surfaces. This is why the maria are far less cratered than the highlands. The highlands are thought to date from the early heavy bombardment. But after this bombardment, volcanic overflow filled the regions that we now recognize as the maria, making them smooth. All previous craters on these regions were obliterated, so that the only craters on the maria today post-date the volcanic overflow. The circular shape of the maria and other lines of evidence suggest that the volcanic overflow of the maria were preceded by very large impacts. These immense impacts left behind large craters called impact basins, which became the sites of the volcanic overflow and hence the maria. The impact basins are the largest impact features on the moon, and since they date at the end of the heavy bombardment, this episode is referred to as the late heavy bombardment. Since the late heavy bombardment, there has been far less cratering on the moon. The early heavy bombardment is usually thought to have begun when the moon formed, allegedly about 4.6 Ga (giga-annum (109 years)) ago. If this were true, the oldest craters on the moon should date to nearly that age, to the time when the moon’s surface supposedly became solid. The late heavy bombardment is dated at about 3.9–4.2 Ga. For the past 3.0–3.5 Ga, very few craters are thought to have formed on the moon or elsewhere in the solar system. Faulkner has used ghost craters to call this long time scale into question.3 Ghost craters are the faint outlines of craters in the maria that were partially filled by lava. Obviously ghost craters are from impacts that occurred between the formation of the impact basins and the volcanic overflow. If the ghost craters post-dated the overflow, they would be fresh craters, not ‘ghostly’ at all. If a ghost crater had preceded the impact basin it was in, the meteorite impact which caused this basin would have obliterated the crater. It is reasonable to conclude that for each mare, the meteorite impact was the efficient cause of the volcanic overflow. Most likely deep fractures from the huge meteorite impacts reached to the depth of molten material at the time and acted as conduits for the magma. As such, one would expect that the volcanic overflow would have occurred immediately after the impact basin formed. Once uniformitarians presuppose a few Ga age for the moon, for logical consistency they must adopt a certain cratering rate to explain the number of craters on the moon. When this cratering rate is applied to the number of ghost craters on the lunar maria, it is found that the volcanic overflow post-dated the impact basins by as much as 500 Ma (million years). As argued above and by Faulkner,3 this is not a reasonable conclusion. It is more reasonable to infer that the impact basins were followed rapidly by the volcanic overflows. The short time span which must have elapsed between meteorite impact and the resultant volcanic outflow together with the number of ghost craters suggest that the cratering rate at that time was orders of magnitude higher than generally thought. A much higher cratering rate implies that all of the moon’s craters could have formed in a much shorter time than a few Ga. Thus Faulkner concluded that lunar ghost craters are best understood in terms of a recent origin, and indicate that the moon is young rather than old.3 As a side benefit from the study of lunar craters, it offers clues to a biblically-based cratering theory. The moon has synchronous rotation. This means that the moon rotates and revolves at the same rate so that one side always faces the earth. The maria are not uniformly distributed across the lunar surface. The side of the moon that faces the earth is about evenly split between maria and highlands, but the lunar backside is nearly all (about 95% ) highlands. Even the front side is not uniform. Most of the maria are found in the northern quadrant as viewed from the earth. If the large impacts that caused the impact basins occurred over a long period of time, they should be randomly distributed. The actual distribution is obviously far from random. While a truly random process could produce the distribution that we see, the probability is very low. Several authors have suggested that the Flood might have been precipitated by a large number of meteoroids falling upon the earth.2,8,9 The question is whether these impacts were recorded on other bodies as Spencer suggested.2 The lunar surface indicates that there have been two distinct cratering epochs in the moon’s history. The sheer size of the latter impacts and their effect upon the geology of the moon point to catastrophe. If this latest impact catastrophe is equated with the biblical Flood, then it follows that the Flood on earth was accompanied by large impacts. The time frame of the Flood constrains the period over which the impacts could have occurred to no more than a few months less than a year. Depending upon the model adopted, the impacts may have happened over just a few days. Indeed, the non-uniform distribution of the lunar maria suggest a very short period. Consider a narrow stream of meteoroids directed toward the earth. The length of time that the earth would suffer impacts would depend upon the width of the stream, the angle of approach, and the earth’s orbital speed. If this narrow, intense meteor shower lasted at least a few days, the rapid rotation of the earth would allow the impacts to be distributed over the entire surface of the earth. However since the moon rotates much more slowly, a narrow meteor shower lasting only a few days would impact one only side. This matches the distribution of the lunar maria (impact basins). Rather than a narrow stream of meteoroids, some may prefer a broad, solar-system wide period of meteoroids for the impact episode that happened at the time of the Flood. This suffers from at least two problems. First, it fails to explain why the lunar maria are so non-uniformly distributed. This is the same problem that confronts the uniformitarian explanation. Second, a broad, solar-system wide flow of meteoroids passing through space would have taken a long time to disperse. In this case the impact rate after the Flood would have been quite high for some time, but there is no evidence of this. In fact, many of the meteoroids would still be present today and causing frequent impacts, but this is not the case. A narrow, intense meteoroid stream would have followed either an elliptical, parabolic, or hyperbolic orbit around the sun. If the orbit was either of the latter two types, the meteoroid stream would not have returned to the vicinity of the inner solar system. If the orbit was elliptical, the eccentricity must have been great with a large major axis. This kind of orbit matches those of comets, so it is tempting to identify the meteoroids with a swarm of comets. Comets are mostly icy with some dust. This composition could offer some tests of this model. Other impact theories for the Flood rely upon the introduction of meteoroids that would take considerable time to dissipate. Froede and DeYoung suggest that there was a planet between Mars and Jupiter that exploded.8 There are several problems with this suggestion. One is the excessive time required to disperse the debris, similar to the problem for a broad, solar-system wide meteoroid episode as previously discussed. Another is that planets do not spontaneously explode; though a collision of that hypothetical planet with another large body is possible. The cratering model proposed here dates most of the moon’s heavy cratering observed in the highlands to Creation Week or the Fall very soon thereafter. The impact basins and the resultant maria date from the Flood. The Flood on the earth was accompanied and perhaps partly initiated by impacts from the same source that formed the lunar impact basins. Rather than a general introduction of many meteoroids throughout the inner solar system, I propose that there was a narrow intense swarm of bodies travelling along parallel paths. Having visited the inner solar system only once, at the time of the Flood, the meteoroids likely followed a comet-like orbit, suggesting that the meteoroids were comets or fragments of a very large comet. One of the strengths of this model is that it explains the existence and distribution of the lunar maria very well. Another strength is that it explains what happened to the remainder of the debris that failed to immediately hit any targets—they left the inner solar system on a very long-period orbit. A number of possibilities are suggested to test the model proposed here. One is to search for evidence of cometary collisions on the moon and earth. Another is to assess the effect on the rest of the solar system. Given the highly concentrated nature of a narrow, intense meteoroid stream, it is unlikely that significant impacts would have occurred elsewhere in the solar system at the time of the Flood. It will be necessary to examine other bodies in the solar system for evidence of two distinct episodes of cratering similar to that exhibited by the moon. The existence of two cratering episodes would be difficult to explain with this model. However if most bodies lack evidence of these two episodes, that would be consistent with a narrow, intense meteoroid shower at the time of the Flood, as proposed here. Spencer, W.R., The origin and history of the solar system, Proceedings of the Third International Conference on Creationism, Creation Science Fellowship, Pittsburgh, pp. 513–523, 1994. Spencer, W.R., Catastrophic impact bombardment surrounding the Genesis Flood, Proceedings of the Fourth International Conference on Creationism, Creation Science Fellowship, Pittsburgh, pp. 553–566, 1998. 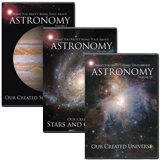 Faulkner, D.R., The current state of creationist astronomy, Proceedings of the Fourth International Conference on Creationism, Creation Science Fellowship, Pittsburgh, pp. 201–216, 1998. However many commentators argue that this ‘division’ was the linguistic division at Babel, cf. Gen. 10:5, 32; 11:1–9 . Morris, H.M., The Genesis Record, Baker Books, Grand Rapids, MI, pp. 260–261, 1976. Some discussion of what might have happened is found in Grigg, R.M., Joshua’s long day: Did it really happen—and how? Creation 19(3):35–37, 1997. DeYoung, D.B., Age of the Arizona meteor crater, Creation Res. Soc. Quarterly, 31:153–158, 1994. Snelling, A., Creationist geology: Where do the ‘Precambrian’ strata fit? TJ 5(2):154–175, 1991. Froede, C.R., Jr. and DeYoung, D.B., Impact events within the young-earth Flood model, Creation Res. Soc. Quarterly 33:23–34, 1996. Auldaney, J., Asteroids and their connection to the Flood, Proceedings of the 1992 Twin-Cities Creation Conference, pp. 133–136, 1992.